Step 1: Please choose ONE of the presentations provided below and follow the instructions which accompany it. Step 2: Step 2-instructions are provided at the bottom of this page. You will be redirected back to this page after each presentation, so don't worry about getting lost! 1. End Polio Now: Rotary's leading role in the fight to eradicate polio from the face of the earth is something of which Rotarians are justifiably proud. As Step 1 of your Make-Up, read the story about recent developments in this effort and out club project HERE on our website. 2. Coastal Cliff Stevns Klint. When an enormous asteroid hit what is now Mexico some 65.5 million years ago and caused a global mass extinction - including the end of the dinosaurs - traces from the massive disaster were spread around the earth. Once and for all, life as it had been never would be the same.The coastal cliff Stevns Klint in Denmark – on the other side of the globe - is among the principle localities in the world that led scientists to formulate the hypothesis regarding the asteroid impact. In the cliff - below a church ruin and deep inside the tunnel of a former Cold War fortress facing the Baltic Sea as - a thin dark layer known as Fish Clay between the chalk and limestone tells the story. Make up a meeting HERE and learn about this fascinating feature that connects Denmark geologically with Mexico! ut these important avenues of service within Rotary. 4. Global Network for Blood Donation-GNBD: Go HERE and follow the instructions for the makeup options on that page. 5. Fundraising Concert: Attend either the first or second part of a concert as Step 1 in your eMakeUp! On May 22, 2010, William Westney, a concert pianist from USA, gave a wonderful benefit recital for our club at The Kingsmead School Theatre in Enfield, England in order to raise funds for ShelterBox and WaterAid. You can experience this wonderful recital program HERE. 6. Rotary International in General: It is a challenge to stay abreast of all that is going on in Rotary on an international scale (but it is very gratifying to do so!) 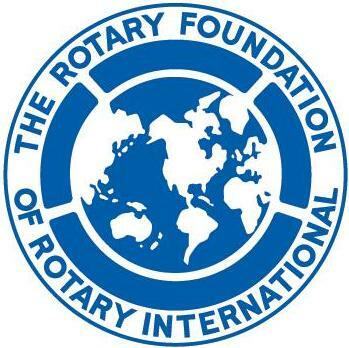 Devote an eMakeUp to getting caught up with what is happening in RI HERE and exploring some aspect of Rotary International which up until now has been more-or-less unfamiliar to you. New initiatives are continually being taken by Rotary, which is a vast and resource-rich organization with enormous potential for effecting practical, positive change in the world with regard to health and poverty. 7. Rotary Foundation: Where vision meets action and money. Devote an eMakeUp to keeping abreast of all the new initiatives that are being taken on a regular basis.You can catch up on some aspect of The Rotary Foundation which up until now has been more-or-less unfamiliar to you by visiting Rotary International's website for The Rotary Foundation HERE. Rotary provides extraordinary opportunities for individuals with shared interest in humanitarian service to find each other and to organize aid projects to effect change for the better in the world. Step 2: You are welcome to send a voluntary donation via PayPal where it is not necessary to have an account in order to transfer money. Contributions in any amount are welcome. and supplied the required billing information, it is important that you indicate in "Add special instructions to seller"
(3) which eMakeUp presentation you chose. If you would like to direct your donation to a specific project which we are currently sponsoring, you may also indicate that preference in "Add special instructions to the seller." Your e-mail receipt from PayPal is your proof to your home club that you have completed an eMakeUp with Rotary E-Club One of Denmark.
. . . we thank you for visiting us here at Rotary E-Club One of Denmark. Please bookmark our URL for a return visit!